Patricia "Patty" Phelps de Cisneros is a Venezuelan art collector and philanthropist who focuses on Latin American modernist and contemporary art from Brazil, Venezuela, and the Río de la Plata region of Argentina and Uruguay. Since the 1970s Cisneros has supported education and the arts, with a particular focus on Latin America. Along with her husband, Gustavo A. Cisneros, she founded the New York City and Caracas-based Fundación Cisneros. In the 1990s the Fundación’s primary art-related program became the Colección Patricia Phelps de Cisneros. In 2016, Cisneros donated 102 modern and contemporary artworks from the 1940s to 1990s to the Museum of Modern Art, establishing the Patricia Phelps de Cisneros Research Institute for the Study of Art from Latin America at MoMA. Cisneros was born in Venezuela to Miriam Louise Parker and William Walther Phelps, a businessman. Her paternal great-grandfather was a noted businessman and ornithologist, William H. Phelps, Sr.. In 1953, William Henry Phelps and his son William H. Phelps Jr. started the first radio station in Venezuela, Radio Caracas Televisión Internacional (RCTV Internacional). Cisneros received a BA in Philosophy from Wheaton College, Massachusetts, where she studied the educational philosophy of Alfred North Whitehead. In 2003, Cisneros was awarded an honorary degree, an Honoris Causa degree in Fine Arts, from Wheaton College. She was an MA candidate at NYU’s Gallatin School, and was awarded an honorary Doctorate of Humane Letters from the Graduate Center of the City University of New York in 2015. In her twenties, Cisneros became the founder and director of the language department of the Simon Bolívar University, Caracas. There, she developed an innovative audio-visual approach to teaching foreign languages. She also worked with Accion International and was a founding contributor of AVEPANE (Asociación Venezolana de Padres y Amigos de Niños Excepcionales). Through the Fundación Cisneros, Patricia and Gustavo Cisneros launched a number of education initiatives: in Venezuela, a literacy program called ACUDE benefited over 300,000 citizens, and the Centro Mozarteum provided scholarships to young people to study classical music. The Fundación Cisneros also created Cl@se, an educational television channel that reached over two million homes from Argentina to Mexico; AME, an international professional development program for teachers conducted through distance-learning; and Piensa en Arte, a methodological model for teaching critical thinking skills. Currently, the Fundación Cisneros provides professional development in Venezuela and the Dominican Republic with the online platform called Tu Clase, tu país. In the 1970s, during her travels across Latin America with her husband, Cisneros spent her time visiting artists in their studios and seeing art in local galleries and museums, and began actively purchasing and collecting artwork. Primarily collecting indigenous work during frequent expeditions through Venezuela, especially around the Orinoco in the Amazon River Basin. As her collection grew, Cisneros saw that Latin American art was under-represented in the international art community, so the Colección Patricia Phelps de Cisneros (CPPC) was formed in the 1990s, with a goal of bringing visibility and impact to the way Latin American art history is viewed and appreciated. 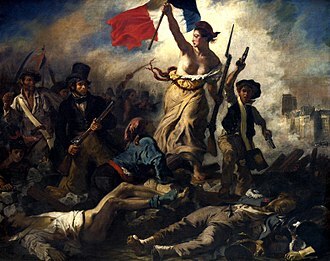 That effort has included a four-pronged approach: An ambitious approach to lending artworks around the world, working with scholars and academics to learn more about the artists and their works, the creation of a publications program to provide supporting information about the artists and their work, and building an online forum for the artwork. The CPPC is best-known for its collection of Modernist geometric abstraction from Latin America and also comprises holdings of Latin American landscapes by traveler artists to Latin America in the 17th to 19th centuries; furniture and art from Latin America’s colonial period; contemporary art from Latin America; and an important group of art and artifacts from indigenous peoples of Venezuela’s Amazonas region, the Orinoco Collection. The mission of the Colección Patricia Phelps de Cisneros is to enhance appreciation of the diversity, sophistication, and range of art from Latin America. Gradually, Cisneros began acquiring geometric abstract artwork that had been under-appreciated. It gradually grew into a significant holding of 20th century Latin American abstract art. She has appeared on “top collector lists every year since 1998. Cisneros has been lending her collections to international exhibitions and institutions since 1999. Cisneros credits her understanding of the importance of stewardship as a collector to her great-grandfather, William H Phelps, who meticulously cataloged his ornithological collection. She has said that her aesthetic developed as a result of having grown up in the modernist society of Caracas in the 1950s and 1960s. Cisneros has had a long-term relationship with the Museum of Modern Art in New York. The 2016 donation of 102 modern and contemporary Latin American artworks from the 1940s to 1990s to the Museum of Modern Art, which establishes the Patricia Phelps de Cisneros Research Institute for the Study of Art from Latin America at MoMA, join the previous donation by Colección Cisneros of over 40 other previously donated works. The gift is meant to be transformative and impactful on how Latin American art is valued and recognized globally. The gift includes works by Lygia Clark, Lygia Pape, Jesús Rafael Soto, Alejandro Otero, and Tomás Maldonado. Additional highlights are works by Willys de Castro, Hélio Oiticica, Juan Mele, Mira Schendel, and Gego. The Cisneros Institute will be located in a dedicated space at the current MoMA campus in midtown Manhattan. In January 2018, it was announced that more than 200 artworks, many from contemporary artists, would be donated by the collection to six institutions with whom Cisneros has had long-term relationships: the Museum of Modern Art; the Bronx Museum of the Arts; the Museo Nacional Centro de Arte Reina Sofía in Madrid, Spain; the Museo de Arte Moderno in Buenos Aires, Argentina; the Museo de Arte de Lima in Lima, Peru; and the Blanton Museum of Art at the University of Texas, Austin in Austin, Texas. The gifts include works by Amalia Pica, Jac Leirner, Luis Camnitzer, and Regina José Galindo. Cisneros has been married to Gustavo Cisneros since 1970. They have three children: Guillermo Cisneros, Carolina Cisneros de Rodríguez, and Adriana Cisneros, who is CEO and Vice Chairman of Grupo Cisneros. Cisneros, Patricia Phelps de (2016). "Reinvention: Collector as Custodian". 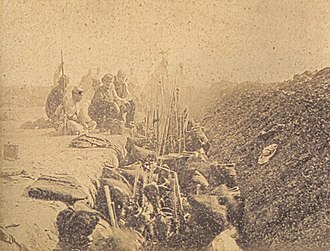 In Holo, Selma; Alvarez, Mari-Tere. Remix: Changing Conversations in Museums of the Americas. Oakland, California: University of California Press. pp. 200–203. ISBN 978-0-52-028452-4. OCLC 921821810. ^ a b c "Chapter 1: Patricia Phelps de Cisneros, A Passion for Latin America" (Video). Colección Patricia Phelps de Cisneros. 16 October 2016. ^ a b c d Lowry, Glenn; Cisneros, Patricia Phelps de (17 October 2016). "MoMA Cisneros Gift Announcement". Museum of Modern Art. ^ a b c d e f "Founder: Patricia Phelps de Cisneros". Colección Patricia Phelps de Cisneros. ^ a b Yearwood, John (1 February 2012). "Adriana Cisneros - Interview with The World Desk The Miami Herald". Miami Herald. ^ "2003: Patricia Phelps de Cisneros, Honorary Degree Recipient". Wheaton College. ^ "Aliados: Fundación Cisneros Venezuela - República Dominicana". Tu clase, tu país. ^ De Diego, Estrella (2 December 2015). 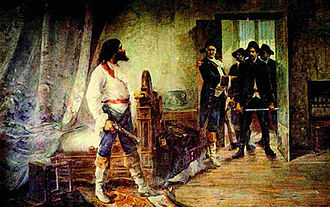 "Obsesión por la obra maestra". El País (in Spanish). ^ "The artnet News Index: Top 100 Collectors, Part One. 18. Patricia Phelps de Cisneros (Venezuela and Dominican Republic)". Artnet News. 13 June 2016. ^ "The Top 200 Collectors: Patricia Phelps de Cisneros and Gustavo A. Cisneros". ARTnews. 2016. ^ Cisneros, Patricia Phelps de (6 September 2016). "Reinvention: Collector as Custodian". Colección Patricia Phelps de Cisneros. ^ García, Ángeles (24 February 2016). "Las colecciones privadas hacen museos públicos". 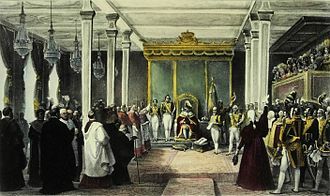 El País (in Spanish). ^ "Research Resources: Patricia Phelps de Cisneros Research Institute". Museum of Modern Art. ^ Chow, Andrew R. (2018). "Over 200 Latin American Artworks Are Headed to MoMA and Other Museums". The New York Times. ^ García, Ángeles (10 January 2018). "Patricia Phelps dona a seis museos 202 obras de arte latinoamericano". El País (in Spanish). ^ a b "Annual Report (July 2000- June 2001): Latin American Art at Harvard" (PDF). David Rockefeller Center for Latin American Studies. Harvard University. 2001. pp. 19–20. ^ "The Aspen Institute: 2011 Overview and 2010 Annual Report. Society of Fellows as of December 31, 2010" (PDF). The Aspen Institute. 31 December 2010. p. 54. ^ "Patronato de la Fundación Museo Reina Sofía" (PDF). Fundación Museo Reina Sofía. 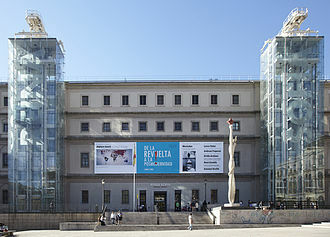 Museo Nacional Centro de Arte Reina Sofía. 2015. p. 16. ^ "The Feuerle Collection: International Ambassadors". The Feuerle Collection. ^ "AS Board of Directors". Americas Society Council of the Americas. 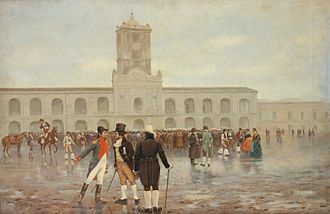 ^ "Mecenas de la Nueva Sede: De Las Butacas". Escuela Superior de Música Reina Sofía. ^ "Fiesta! 2015". Casita Maria. 2015. ^ "Patricia Phelps de Cisneros". Fundació Art i Mecenatge: AiM. ^ Bolton, Michele Morgan (20 January 2008). "Alumna's cache of Latin-American art". The Boston Globe. ^ "Patricia Phelps De Cisneros, Carlos Fuentes, and Peter Munk Honored at Americas Society 28th Annual Spring Party". Americas Society. 6 June 2008. ^ "Iris Foundation Awards Luncheon for Outstanding Contributions to the Decorative Arts". Bard Graduate Center. 14 April 2010. ^ "The Distinguished Service to the Visual Arts Award". ArtTable. ^ "Patricia Phelps, Gran Cruz de la Orden Civil de Alfonso X El Sabio – Descubrir el Arte, la revista líder de arte en español". Descubrir el Arte. 2 April 2014. ^ Reviriego, Carmen (2 February 2017). "Patricia Phelps de Cisneros, la gran mecenas del arte iberoamericano". Expansión (in Spanish). 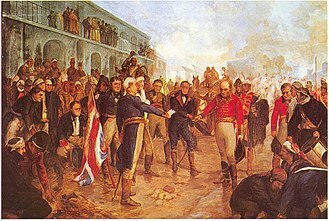 ^ Durón, Maximilíano (28 April 2017). "Independent Curators International's 2017 Leo Award Will Go to Patricia Phelps de Cisneros | ARTnews". ARTnews. Cisneros, Patricia Phelps de (8 May 2015). "Patricia Phelps de Cisneros, Collector and Philanthropist. Interviewed at ArtTable's 20th Annual Award Ceremony and Benefit Luncheon" (video). ArtTable. Wikimedia Commons has media related to Patricia Phelps de Cisneros. Wheaton College is a four-year, private liberal arts college with a student body of approximately 1,600. Wheatons residential campus is located in Norton, between Boston and Providence, Rhode Island, founded in 1834 as a female seminary, it is one of the oldest institutions of higher education for women in the United States. In 1912, the officially changed the name of the institution to Wheaton College after receiving a college charter from the Commonwealth of Massachusetts. The school began admitting men in 1988, after more than 150 years as a female-only institution, most classes are relatively small, the student-faculty ratio is 11,1 and the average class size is between 15 and 20. In 1834, Eliza Wheaton Strong, the daughter of Judge Laban Wheaton, Eliza Baylies Chapin Wheaton, the judges daughter-in-law, persuaded him to memorialize his daughter by founding a female seminary. The family called upon noted womens educator Mary Lyon for assistance in establishing the seminary, miss Lyon created the first curriculum with the goal that it be equal in quality to those of mens colleges. She provided the first principal, Eunice Caldwell, Wheaton Female Seminary opened in Norton, Massachusetts on 22 April 1835, with 50 students and three teachers. Mary Lyon and Eunice Caldwell left Wheaton to open Mount Holyoke Female Seminary in 1837, following their departure, Wheaton endured a period of fluctuating enrollment and frequent changes in leadership until 1850, when Caroline Cutler Metcalf was recruited as the new principal. Mrs. Metcalf made the hiring of outstanding faculty her top priority, ellen Stanton, a teacher of French since 1871, served as principal from 1880 to 1897. She led the Seminary during a time, when it faced competition from increasing numbers of public high schools. In 1897, at the suggestion of Eliza Baylies Wheaton, the Trustees hired the Reverend Samuel Valentine Cole as the Seminarys first male president, the Commonwealth of Massachusetts granted Wheaton a college charter in 1912, and the trustees changed the name of the school to Wheaton College. 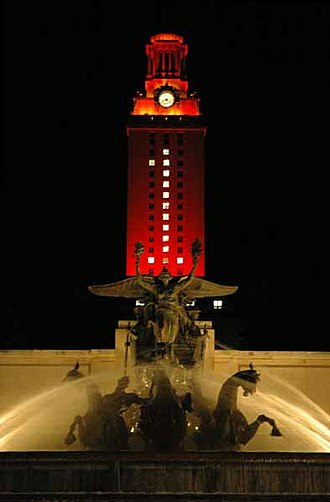 The Student Government Association was organized to represent the consensus of opinion of the student body, and to encourage individual responsibility, integrity. Contemporary art is the art of today, produced by artists who are living in the twenty-first century. Contemporary art provides an opportunity to reflect on contemporary society and the relevant to ourselves. Contemporary artists work in a globally influenced, culturally diverse, and their art is a dynamic combination of materials, methods and subjects that challenge traditional boundaries and defy easy definition. In vernacular English and contemporary are synonyms, resulting in some conflation of the modern art. Some define contemporary art as art produced within our lifetime, recognizing that lifetimes, there is a recognition that this generic definition is subject to specialized limitations. The classification of art as a special type of art, rather than a general adjectival phrase. In London, the Contemporary Art Society was founded in 1910 by the critic Roger Fry and others, as a private society for buying works of art to place in public museums. A number of other institutions using the term were founded in the 1930s, such as in 1938 the Contemporary Art Society of Adelaide, particular points that have been seen as marking a change in art styles include the end of World War II and the 1960s. There has perhaps been a lack of natural break points since the 1960s, and definitions of what contemporary art in the 2010s vary. Art from the past 20 years is likely to be included, and definitions often include art going back to about 1970, the art of the late 20th and early 21st century. Many use the formulation Modern and Contemporary Art, which avoids this problem, smaller commercial galleries and other sources may use stricter definitions, perhaps restricting the contemporary to work from 2000 onwards. One of the many people have in approaching contemporary artwork is its diversity - diversity of material, subject matter. It is distinguished by the lack of a uniform organizing principle, ideology, or -ism that we so often see in other. Broadly speaking, we see Modernism as looking at modernist principals - the focus of the work is self-referential, Impressionism looks at our perception of a moment through light and color as opposed to attempts at stark realism. Contemporary art, on the hand, does not have one. 4. William H. Phelps Sr.
William Henry Phelps Sr. was an American ornithologist and businessman. One of his sons, William H. Phelps Jr. was an ornithologist, born in New York City to Dudley F. Phelps, and of Louise Lander Prince Phelps, he attended Milton Academy and Harvard College. He went to the ports of Puerto Cabello and La Guaira to finally explore a region near Cumaná, after a long stay in the states of Sucre and Monagas, he became fascinated with the country and its birds. 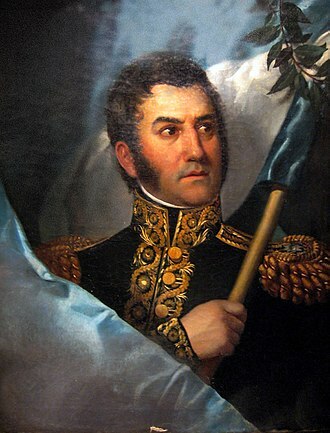 In San Antonio de Maturín, he met a family of British settlers, the Tuckers and he returned to the United States with a small collection of specimens that he brought to Chapman at the American Museum of Natural History. The specimens he collected became the basis for his first publication published with Chapman in 1897, once he finished his studies at Harvard, Phelps returned to Venezuela in 1897, to marry Alicia Elvira Tucker and settle in Maturín. There he began one of successful business ventures by selling coffee. His first two children and William Henry Jr.
Alfred North Whitehead OM FRS was an English mathematician and philosopher. In his early career Whitehead wrote primarily on mathematics and his most notable work in these fields is the three-volume Principia Mathematica, which he wrote with former student Bertrand Russell. Beginning in the late 1910s and early 1920s, Whitehead gradually turned his attention from mathematics to philosophy of science and he developed a comprehensive metaphysical system which radically departed from most of western philosophy. Today Whiteheads philosophical works – particularly Process and Reality – are regarded as the texts of process philosophy. For this reason, one of the most promising applications of Whiteheads thought in recent years has been in the area of ecological civilization, cobb, Jr. Alfred North Whitehead was born in Ramsgate, England, in 1861. His father, Alfred Whitehead, was a minister and schoolmaster of Chatham House Academy, Whitehead himself recalled both of them as being very successful schoolmasters, but that his grandfather was the more extraordinary man. Whiteheads mother was Maria Sarah Whitehead, formerly Maria Sarah Buckmaster, Whitehead was apparently not particularly close with his mother, as he never mentioned her in any of his writings, and there is evidence that Whiteheads wife, had a low opinion of her. Whitehead was educated at Sherborne School, considered one of the best public schools in the country and his childhood was described as over-protected, but when at school he excelled in sports and mathematics and was head prefect of his class. In 1880, Whitehead began attending Trinity College and his academic advisor was Edward John Routh. He earned his BA from Trinity in 1884, and graduated as fourth wrangler, in 1890, Whitehead married Evelyn Wade, an Irish woman raised in France, they had a daughter, Jessie Whitehead, and two sons, Thomas North Whitehead and Eric Whitehead. Eric Whitehead died in action serving in the Royal Flying Corps during World War I at the age of 19. In 1910, Whitehead resigned his Senior Lectureship in Mathematics at Trinity, toward the end of his time in England, Whitehead turned his attention to philosophy. The Museum of Modern Art is an art museum located in Midtown Manhattan in New York City, on 53rd Street between Fifth and Sixth Avenues. MoMA has been important in developing and collecting modernist art, and is identified as one of the largest and most influential museums of modern art in the world. 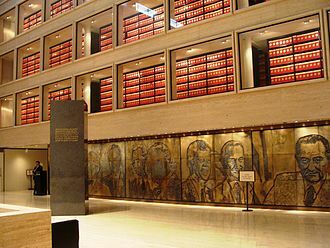 The MoMA Library includes approximately 300,000 books and exhibition catalogs, over 1,000 periodical titles, the archives holds primary source material related to the history of modern and contemporary art. The idea for The Museum of Modern Art was developed in 1929 primarily by Abby Aldrich Rockefeller and they became known variously as the Ladies, the daring ladies and the adamantine ladies. They rented modest quarters for the new museum in the Heckscher Building at 730 Fifth Avenue in Manhattan, and it opened to the public on November 7,1929, nine days after the Wall Street Crash. Abby had invited A. Conger Goodyear, the president of the board of trustees of the Albright Art Gallery in Buffalo, New York. At the time, it was Americas premier museum devoted exclusively to art. One of Abbys early recruits for the staff was the noted Japanese-American photographer Soichi Sunami. Goodyear enlisted Paul J. Sachs and Frank Crowninshield to join him as founding trustees, the associate director and curator of prints and drawings at the Fogg Museum at Harvard University, was referred to in those days as a collector of curators. Goodyear asked him to recommend a director and Sachs suggested Alfred H. Barr, under Barrs guidance, the museums holdings quickly expanded from an initial gift of eight prints and one drawing. 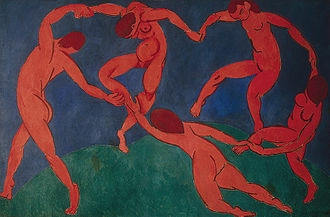 Its first successful exhibition was in November 1929, displaying paintings by Van Gogh, Gauguin, Cézanne. Abbys husband was opposed to the museum and refused to release funds for the venture. Nevertheless, he donated the land for the current site of the museum, plus other gifts over time. During that time it initiated many more exhibitions of noted artists, the museum gained international prominence with the hugely successful and now famous Picasso retrospective of 1939–40, held in conjunction with the Art Institute of Chicago. The Berggruen Museum is a collection of modern art classics in Berlin, which the collector and dealer Heinz Berggruen, in a gesture of reconciliation, gave to his native city. 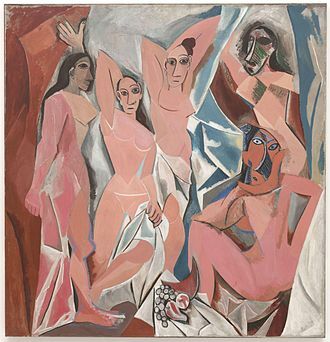 The most notable artists on display include Pablo Picasso, Giambattista Pittoni, Alberto Giacometti, Georges Braque, Paul Klee, the Berggruen Collection is part of the National Gallery of Berlin. The collection arrived in Berlin in 1996, with Berggruens return to his city after six decades in exile. 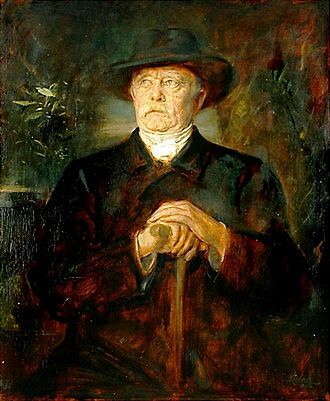 Also in 1990, negotiations with Museo Nacional Centro de Arte Reina Sofía for the Berggruen collection to be shown in Madrid fell through, Berggruen initially lent the collection, which he had assembled over 30 years, to the Prussian Cultural Heritage Foundation. He finally sold it to the PCHF in December 2000, for the price of 253 million marks. The centrepiece of the collection is the work of Picasso, with over 100 exhibits, Henri Matisse is represented by over 20 works, including more than half a dozen of his famous cutouts. Sculpture ensembles by Alberto Giacometti and examples of African sculpture round out the core of the collection, Berggruen continued to purchase works after the museums opening in 1996, including Picassos important 1909 painting Houses on the Hill from the Museum of Modern Art in New York. A total of 165 works were transferred from Berggruen to the PCHF in the 2000 sale, in 2005 the Berggruen family acquired Picassos Nu Jaune for $13.7 million at Sothebys in New York. This gouache is one of the first studies for Les Demoiselles dAvignon and it had in fact already been on loan at the museum until then, standing in the Stüler Buildings rotunda. To keep the two-metre high bronze statue within the collection – his lifes work – Berggruen quickly purchased it, several weeks later, on 23 February 2007, he died in Paris. The museum received 1.5 million visitors during its first decade from 1996 to 2006, besides the permanent exhibition Picasso and His Time, the museum hosts numerous special exhibitions on themes of classic modern art. Whewell's Court north range at Trinity College, Cambridge. Whitehead spent thirty years at Trinity, five as a student and twenty-five as a senior lecturer. Bertrand Russell in 1907. Russell was a student of Whitehead's at Trinity College, and a longtime collaborator and friend. Richard Rummell's 1906 watercolor landscape view of Harvard University, facing northeast. Whitehead taught at Harvard from 1924 to 1937. Theoretical physicist David Bohm. Bohm is one example of a scientist influenced by Whitehead's philosophy. 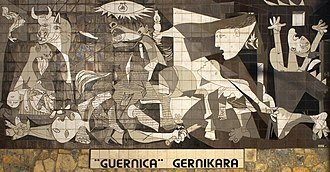 Mural of the painting Guernica by Picasso made in tiles and full size. Picasso's original Guernica is exhibited in the museum. Meadows East residence hall, built in 1964. Aerial view of part of the Amazon rainforest. Red-bellied piranha (Pygocentrus nattereri) is a species of piranha. This species lives in the Amazon River basin, coastal rivers of northeastern Brazil, and the basins of the Paraguay, Paraná and Essequibo Rivers.